I’m happy to finally be able to introduce Tales of Zestiria, the latest installment in the Tales of…series, to everyone in North America. My staff and I have spent more than four years bringing this title to life, from the development phase to production of the Japanese edition, and now the international edition. It’s an undertaking that I look back on with immense pride. This series has been supported by you, the fans, for more than 20 years now. I’d like to speak on behalf of myself and for my staff when I say that we are deeply grateful to all of you for all of the love and support that you have provided to us. PlayStation.Blog contacted me requesting that I submit a short comment for this launch. 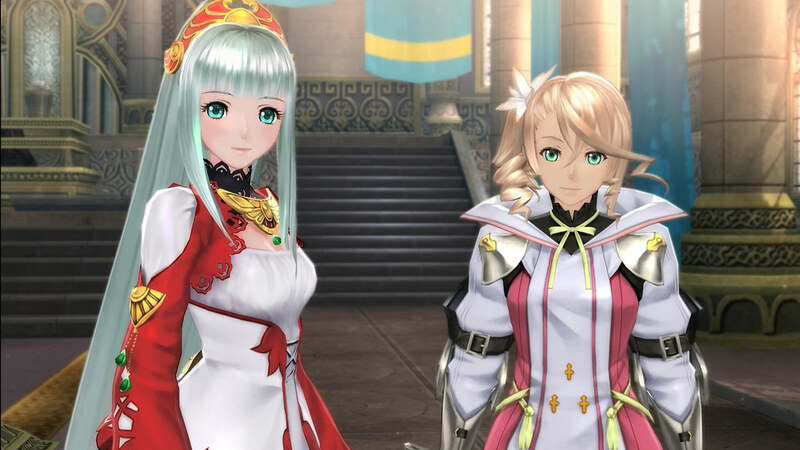 This isn’t something that I normally do, but I’d like to take the opportunity to speak briefly regarding the development of Tales of Zestiria. This title has revolved around the singular theme of “Passion” since the earliest stages of development. We wanted to create a classic adventure story, supported by a cast of characters who all have some sort of unique passion that guides them in their actions. In the case of Sorey, it is his affection for the mystique of the numerous ancient ruins that he encounters throughout the world. Once Sorey becomes a Shepherd, his Prime Lord Lailah constantly reminds him to be true to himself. That was one of the tools that we employed in supporting and reinforcing our core concept throughout the game. Every character that Sorey encounters has their own passions, and that is what guides them and gives them the strength to never run from conflict and overcome adversity. In turn, the trials and hardships that they encounter allow them to grow as a character. 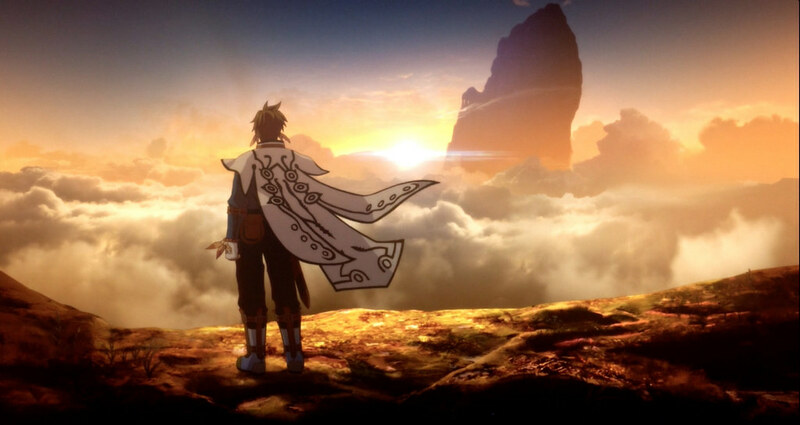 If the players who play the game all the way through to the end can feel a real connection to Sorey and the other characters that they’ve encountered, that would give me the highest sense of fulfillment as a developer. The Tales of… series is very character-centric, so all of us spent quite a bit of time discussing each character’s personality and mindset in order to create a story with a great deal of depth. I hope that you can appreciate our efforts and experience the full story, all the way through to the end. Besides the story, we developed the gameplay system while keeping our player’s interests and preferences in mind, and took a new approach regarding our developmental environment. 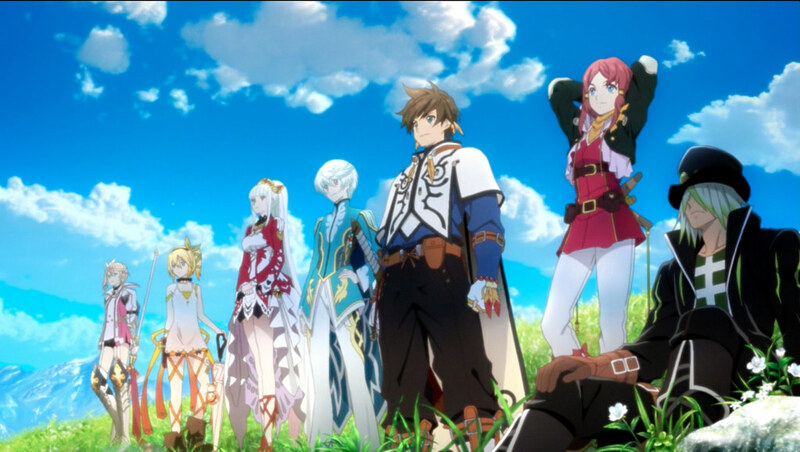 Compared to other titles in the series, we wanted Tales of Zestiria to have more flexibility and freedom regarding its RPG elements, so that players could develop their very own, highly unique characters. We hope that our efforts and innovations allow you to have an even deeper gameplay experience as you build your character up. It’s rare to talk about a game that we’re about to release like this, particularly overseas, but I do think that the Tales of… series will continue to evolve in the future. I hope that the wonderful fans of the series will continue to support it, as they have in the past. Thank you very much for reading along, and on behalf of my staff and myself, thank you for continuing to support us and the Tales of… series. Can’t wait. Fell in love with Tales series after trying Xilia. Me too, I love Xillia and I want this game. I was so happy when Tales of Graces F helped bring back the Tales of games to other territories. I have bought every single one since and will continue to do so. Thank you Namco for bringing RPG’s west. It very much appreciated. Sounds good, I hope it plays well. Yes, please try & bring as many Tales to PS4 as possible. If only to bump up the Rez I’m sure fans will eat them up on PSN. Definitivamente es un juego que hay que tener. THE best JRPG series out there. Anyone who has a passing interest should try one of the games. They are fantastic and in my opinion, do something unique in the genre with its battle systems. No turn based menus here! Already ordered my collector’s edition the moment it was made available. Can’t wait for it to arrive so i can start the adventure. Can you please patch the game to make the share button usable. It’s really bad that you can’t even take screenshots for the game…. This is the best Tales of experience I had from all of other Tales of game (just into beginning of the game, though). Really like this Tales so much. Never played any of the Tales games. Looks like I finally need to buckle down and do so. Will get this once the price drops on it or find a used copy of it online. Got my collector’s edition coming in the mail. Can’t wait to play this. With that said, it’s VERY disappointing that the SHARE button is disabled for something petty like licensing. I hope a patch for this is in the works. Cancelled my pre-order for this and will probably get it on PC later once it’s cheaper. Can’t believe you guys disabled the share button. I really hope this no share button feature isn’t true. Bandai Namco has been pulling way too much bad stuff when it comes to the share button. I wanted to be able to do multiplayer with friends on share play. But not only is that a issue. I can’t even use the share button. To be honest if it wasn’t already on it’s way from amazon I’d cancel, because that’s just ridiculous. Hopefully this is just a direct port issue that will be fixed in a update. I played Of Hearts R a bit… just couldn’t get into it. The combat was just ok, I felt very held back for what it was to be honest. I don’t think I’ll be picking this up anytime soon. No, it’s far different than Tales of Hearts R.
While Tales of Hearts R is kinda stiff in every events, this Tales of Zestiria has fluid movements and much better in conveying the story events. The battle itself is very different with Tales of Hearts R too, and it’s kinda similar with Tales of Graces (I only played Wii version, dunno if the PS3 had the same battle mechanic or not). I like Tales of Hearts R, just complaining that it had stiff movements in events, but Tales of Zestiria is great on that aspect. Well, thank you divineLite. Perhaps I’ll give it a go sometime sooner now that I know they are better than what I’ve given a chance at. Just sayin’, the pre-load digital version unlocks at 9 tonight, for Pacific time zone. I love the Tales of… series and am very excited to play this first new-gen Tales on PS4. I’m going to try the Share button for screenshots. I hope it works. Love the Tails of series. Really look forward to this one too. Glad we get a PC version as well. I would love to play xillia on my PS4 maybe one day? Pre-ordered it awhile back. Now I just need Tales of Innocence R for Vita! Can’t wait for this. I love the Tales of series. Please bring more Tales of games to PS4. Love to see some old Tales of games to appear on PS4 too. I didn’t expect Baba-san himself to write a message on the PS Blog, but this is totally something that he would do for Tales of fans around the world. I’m very happy to show my support for such a great JRPG series and to see its success overseas. Thank you as well for all your hard work and for bringing all those Tales games westside, it means a lot for us. Also, I’d like to thank you for your efforts to bring this game for PS4 as well, I really appreciate that. I can’t wait to hear more about Berseria and the future of this great series throught this generation, keep up the good work! I plan to buy the game this month, I wish the collector edition is cheaper thought, or at least make a cheaper collector edition without the plushie. I am waiting for my copy to launch. I have enjoyed other tales games. Thank you Mr. Baba for localizing this game! I can’t wait to get my CE later this week. Please consider localizing Innocence R too! I am touched you wrote us yourself. I typically do not comment on the PSblog myself. I just never have been brought to. Though, I finally felt the need to with the producer of the series himself posting on the blog. Sometimes, it seems like all the work you guys put in to bring the Tales games is never enough. I want you to know that I am happy to be able to play Zestiria within the same year as those in Japan. I also never thought I would get to play Hearts R, but you made that happen too. I also see that many of the fans within comments are happy to see Zestiria too. I have found the best of characters within the Tales series, ones I have always related with. Even the villains! Characters that are human like us. I hope as we go forward, we see more awareness of Tales in the west. I dream of one day in which we can play every main entry Tales game in English. I am not trying to rush you or request it. It is simply a wish of a fan. I wish you the best! I hope to see more Tales games in the west! I’m really excited for my CE to get here. Thank you, Baba-san, for releasing these games on this side of the pond. I won’t beat a dead horse by saying Vesperia PS3; instead I’ll recount how I fell in love with this series the day I first rented Tales of Symphonia 1, after reading about it in Nintendo Power. Never before had I put so many hours into a single game. Then Tales of the Abyss released on PS2, and it quickly became my single favorite RPG ever, a title it still holds to this day. While I missed Vesperia due to never owning a 360, my love for the series was solidified. Abyss 3D, Graces F, Xillia, Xillia 2, Hearts R, and now Zesteria….. I preordered every single one of them, to show my support. As for Symphonia Chronicles? I preordered the Collector’s Edition of that the day they opened. Chibi Lloyd and company now headline one of my display case shelves for it. At this time, I am just counting down the hours until Gamestop opens and I can begin the newest adventure. Where are FREE DLC’s and Alsidha Story DLC? doesn’t we should get it too if we bought it on PSN Store? (@37) It’s all there now. I love this series. I grew up as a huge Final Fantasy fan, but I’m not really into the direction that series has gone. You know what you’re getting with a Tales game and I appreciate that. Probably my favorite JRPG series now. Thank you!!! This is my favorite series. Have loved every single one. Please update and bring Vesperia to PS4. Still my favorite Tales game. Going to start on Zestiria this weekend.